Objectives We examine trends in prescription contraceptive sales following the Affordable Care Act’s (ACA) zero-copayment contraceptive coverage mandate in areas more likely to be affected by the provision relative to areas less likely to be affected. Methods Before the ACA, several states had their own contraceptive insurance coverage mandates. Using a national prescription claims database combined with wholesaler institutional sales activity from January 2008 through June 2014, we compare sales of the intrauterine device (IUD), implant, injectable, pill, ring, and patch in states that had a state-level insurance coverage mandate before the ACA to states that did not. Results Overall, our results imply the ACA increased sales of prescription contraceptives, with stronger effects for some methods than others. Specifically, we find the ACA increased sales of injectable contraceptives, but had no significant impact on sales of the IUD, implant, pill, or patch in states without a state-level mandate before the ACA relative to states that had a state-level mandate. We also find suggestive evidence of a reduction in sales of the ring. Conclusions for Practice Demand responses to changes in out-of-pocket expenses for contraception vary across methods. Eliminating copays could promote the use of contraceptives, but is not the only approach to increasing contraceptive utilization. The online version of this article ( https://doi.org/10.1007/s10995-018-2680-1) contains supplementary material, which is available to authorized users. Branum, A. M., & Jones, J. (2015). Trends in long-acting reversible contraceptive use among U.S. women aged 15–44. (NCHS Data Brief No. No. 188) (pp. 1–7). Hyattsville, MD: Centers for Disease Control and Prevention National Center for Health Statistics. Retrieved from http://www.cdc.gov/nchs/data/databriefs/db188.pdf. Daniels, K., Daugherty, J., & Jones, J. (2014). Current Contraceptive Status Among Women Aged 15–44: United States, 2011–2013 (NCHS Data Brief No. 173). Hyattsville, MD: National Center for Health Statistics. Retrieved from http://www.cdc.gov/nchs/data/databriefs/db173.pdf?utm_source=Master+List&utm_campaign=c7a6b2971d-12_12_14_NIC_NSFG_LARC12_12_2014&utm_medium=email&utm_term=0_9ac83dc920-c7a6b2971d-244277089. Gomez, A. M., & Freihart, B. (2017). Motivations for interest, disinterest and uncertainty in intrauterine device use among young women. 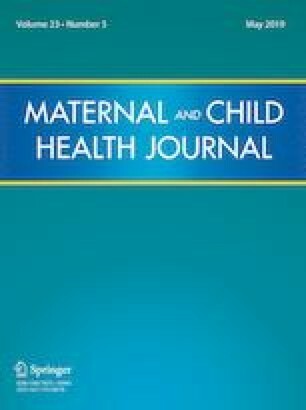 Maternal and Child Health Journal, 1–10. https://doi.org/10.1007/s10995-017-2297-9. Kaiser Family Foundation. (2014a). 2014 Employer Health Benefits Survey. Kaiser Family Foundation and Health Research & Educational Trust. Retrieved from http://kff.org/health-costs/report/2014-employer-health-benefits-survey/. Kaiser Family Foundation. (2014b). EHBS 2014—section thirteen: Grandfathered Health Plans—8625. Retrieved May 22, 2015, from http://kff.org/report-section/ehbs-2014-section-thirteen-grandfathered-health-plans/. Strasser, J., Borkowski, L., Coulliard, M., Allina, A., & Wood, S. (2016). Long-acting reversible contraception: Overview of research and policy in the United States (Bridging the Divide: A Project of the Jacobs Institute of Women’s Health). Washington, D.C.: The George Washington University. Retrieved from https://publichealth.gwu.edu/sites/default/files/downloads/projects/JIWH/LARC_White_Paper_2016.pdf.